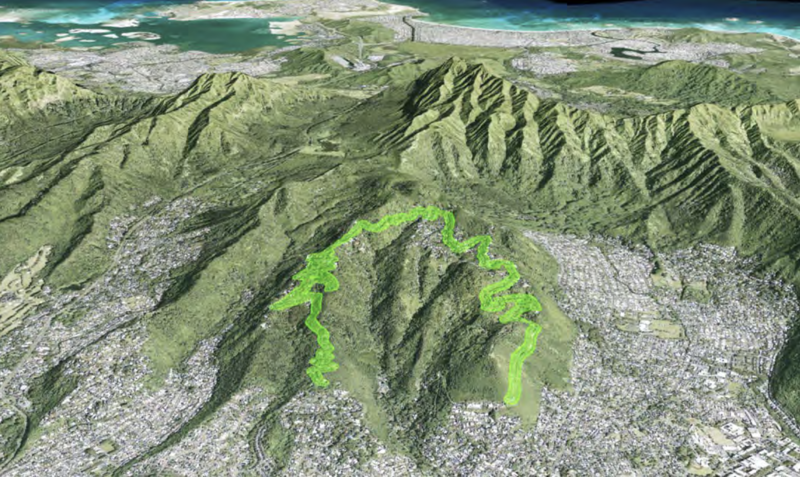 (Honolulu) – The Department of Land and Natural Resources Division of Forestry and Wildlife (DOFAW), in partnership with local planning firm Planning Solutions, Inc. (PSI) has developed a draft Tantalus-Round Top Drive Corridor Management Plan (Draft TRTD-CMP) to preserve the scenic, historic, and natural features of the Tantalus-Round Top Drive area. The plan is focused on the roadway and adjacent state-owned forest lands managed by DOFAW. It also seeks to facilitate greater cooperation among land management agencies, private organizations, and concerned citizens by establishing clearly defined management challenges, providing recommendations to address them, and presenting strategies for successful implementation. When the plan is complete it will provide a framework for coordinated management and enhancement of the area. DOFAW intends to use it to promote safety, public use, and multiple forms of mobility (such as cars and bicycles) along the corridor. The draft plan builds on previous work by state and county agencies, and the community. DOFAW is requesting that all interested agencies, organizations and individuals review the draft and provide comments. Comments will be reviewed and considered before a final plan is produced. DOFAW and PSI created a website with an interactive Geographic Information Systems (GIS) based commenting portal. It has a link to download the draft plan and offers a user-friendly way for people to review it, share concerns, and hear what other’s in the community are saying. The 60-day review period for the Draft TRTD-CMP runs from April 10, 2019 – June 10, 2019. All comments received will be considered and reproduced in full in the Final TRTD-CMP.